Cooking with heart & soul. The 990 EL range cooker offers the convenience of electric power with the style, elegance and amazing roasting and baking qualities of a solid fuel range. 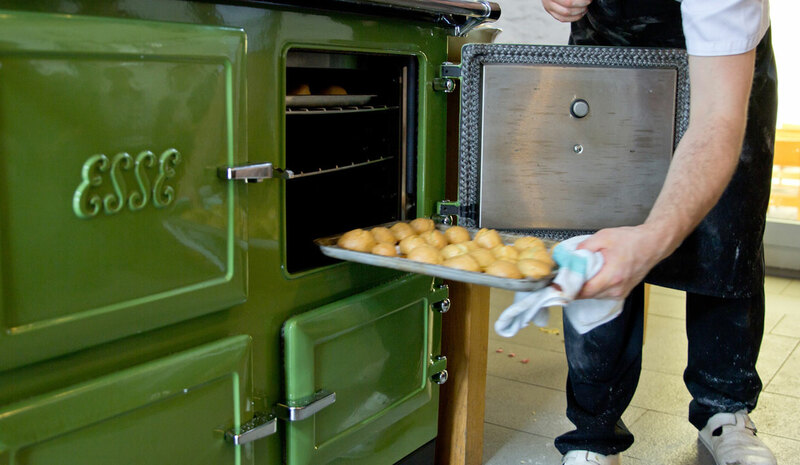 Awarded a patent for the heat surround elements in the oven, there is no better oven for baking the perfect cake. To see an ESSE cooker in action and learn the benefits it could bring to your kitchen and cooking skills call Arcade Stoves on 01269 841323 or email mark.ludgate@arcadestoves.co.uk to book your place at this demonstration.